Born at Kirkcaldy, Fifeshire, Scotland, he studied at the Glasgow School of Art under Francis Newbery, and the Heatherley School, London. He came to Canada in 1910 and settled in Montreal. There he was active in art circles and became a charter member of the Arts Club of Montreal. In that city he studied under William Brymner and Maurice Cullen. 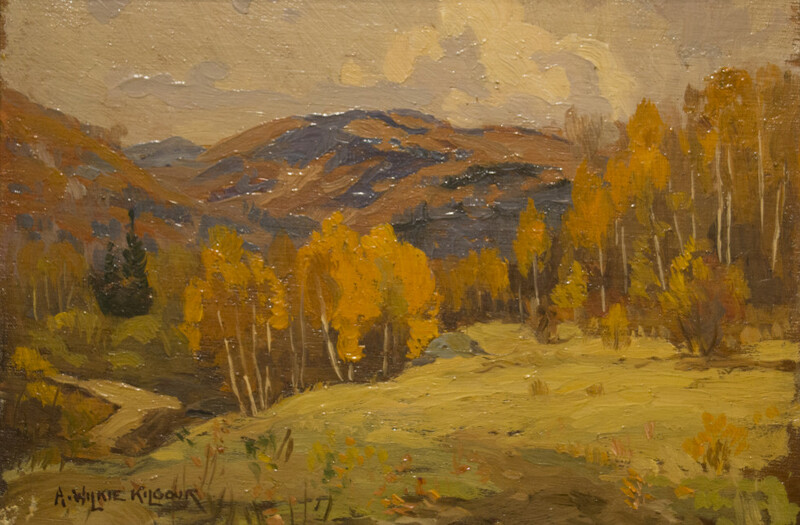 In 1932, A.H. Robson in his book Canadian Landscape Painters wrote “Wilkie Kilgour’s work was just beginning to receive wide and popular recognition before his death, in 1930. He was another painter who used pastel with consummate skill.” Kilgour was a regular exhibitor at the shows of the Royal Canadian Academy and of the Art Association of Montreal. 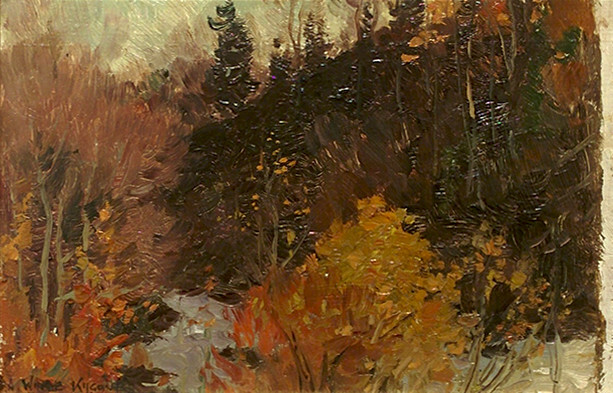 Many of his paintings were of the Laurentian country bordering Montreal. He had a summer home at Strathmore, Quebec. The National Gallery of Canada acquired his canvas “Flecked By The Morning Sun” in 1914. Wilkie Kilgour, because of the pressing commitments of his commercial art work, found little time for his painting in later years. He died at Strathmore, Quebec. He is represented in many private collections including those of: T.H. Edwards of Montreal and F.E. Winter, Ottawa. signed "A. Wilkie Kilgour" (recto, lower right). 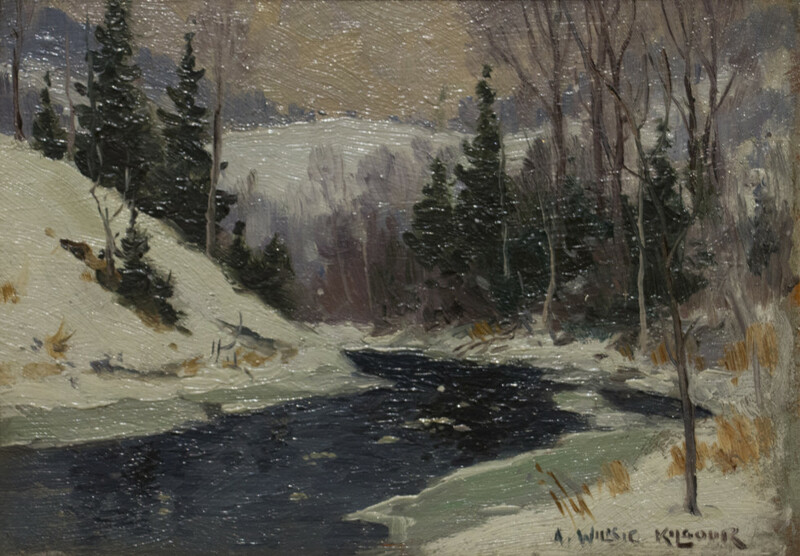 signed, titled ""A. Wilkie Kilgour / Sketch at Tumbling Waters" (verso). titled, inscribed by hand, in ink " Sketch at Val Morin" (verso).